If minimalism were a religion, Joshua Fields Millburn and Ryan Nicodemus would be its top evangelists. 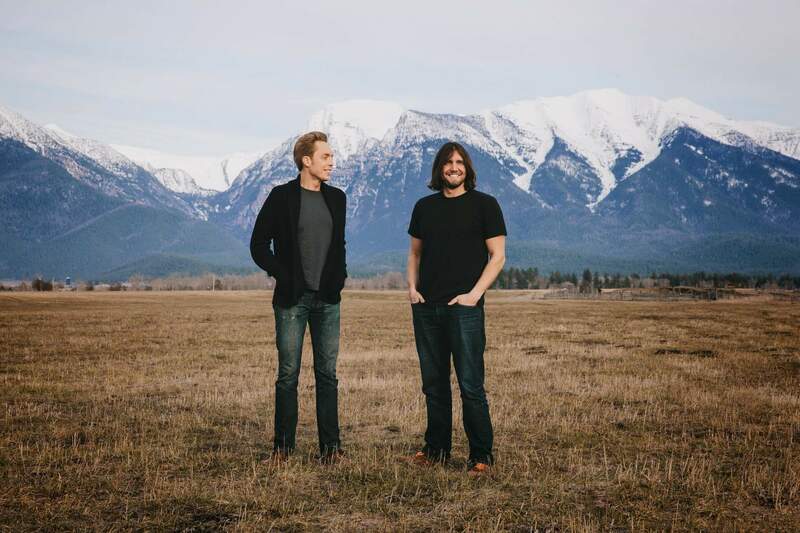 They host a popular blog and podcast called The Minimalists and have published several best-selling books together. On a recent book tour, they were joined by a documentary film crew that followed them on their travels as a jumping-off point for discussion and exposition of the minimalist lifestyle from a variety of perspectives. Some of people interviewed include Dan Harris, of ABC Nightline fame and author of 10% Happier, and Sam Harris (no relation! ), a well-known scientist and secularist who is also a proponent of mindfulness practices. Others lend their voices while looking at the concepts undergirding minimalism from the viewpoints of architecture, finance, globalism, ecology, and sustainability. But the core narrative of the film woven throughout centers on the story of best buddies Joshua and Ryan. Their story resonates with many, due to the fact that they both have a rags-to-riches tale to tell, yet in the midst of their success and wealth, they came to discover something far more satisfying. At the start of the documentary, we are treated to rather disturbing images of massive hordes of people rushing into retail stores during special shopping events. Chaos, injuries, even arrests ensue. Now granted, this sort of shopping mayhem isn’t the norm, but the larger point is made: people care too much about collecting stuff. In Minimalism, the interviewees speak to the cravings we all experience as humans, that deep-seated longing for more. More things. More information. And yet we wonder why we are unhappy, even in the midst of our excess and our sensory overload. These base desires are manipulated to great effect by marketing departments and pop culture. We are fed images of lifestyles we should aspire to, in order to get us to buy more stuff. We are told that our worth is all about the brands we buy and the status items we can wear or show off. We put celebrities up on pedestals, and then we tear them down again…all in a mad dash towards feeling like our own lives matter somehow. “You get lonely, you know, when you’re on the road. People see the glam and the amazing stuff, but they don’t know the other side. This life can rip you apart. One of the key concepts presented in this documentary is agency. The idea that we have a choice, that we can be mindful about the kind of lifestyle we want to live—rather than blindly living in a manner that we think others expect of us. Instead of doing everything in order to “keep up with the Joneses”, we should be discovering only that which makes us truly happy. Or as the Minimalists would say: “living more deliberately with less”. There is great irony in the fact that Joshua and Ryan’s worldly success left them empty, as both share stories of a difficult childhood and the very real struggle their families had with poverty and substance abuse. One might attribute the drive of both Joshua and Ryan to excel and prosper in life as a reaction to the afflictions of their early youth. Things came to a head for Joshua in 2008, the “year from hell” when both his mother died and his marriage ended. Many of us have had clarifying experiences in life which cause us to question everything, but what struck me as particularly poignant was his comment that he wished he’d been able to spend more time with his mom. As someone whose own mother passed away in 2006, it reminded me of the sacredness of being fully present with other people. Joshua’s experiences led him on a quest to find a better way of living, one where he wouldn’t again regret spending time in the material pursuit of more at the expense of genuine human connection. The documentary also dives head-first into the thorny issue of mass-produced, cheap stuff that gets imported from other countries like China. It’s an important topic to cover within the context of a discussion on minimalism, but it’s also been dealt with a lot in the media in recent years so I’ll refrain from going into it much here. The film touches on several movements that have cropped up in recent years that are redefining the “American Dream.” Several of the people interviewed live in “tiny houses” and prioritize minimizing waste and living economically. Others live in more traditional apartments or single-family homes but have methodically gone through all their possessions and eliminated all but the essentials and those things which align with their personal values. While the film didn’t specifically call out the KonMari method made popular by Marie Kondo’s wildly successful book The Life-Changing Magic of Tidying Up, many of the concepts covered are quite similar. In the end, the central idea behind minimalism is that happiness is a feeling that emerges when we are living an intentional life. And while not all of us have immediate control over our jobs or our places of living, we do have control over the sort of objects and obligations we allow into our lives. Minimalism echoes ethical teachings from many spiritual paths that people have walked for thousands of years. My own Christian tradition tells me to seek God first and his righteousness, and the “stuff” that I truly need will come along at the right moments. Jesus asked what kind of profit are we willing to accept in our lives—is it worth it to “gain the whole world” at the expense of our own souls? Preach on, brother. Preach on. Watch Minimalism on Netflix, iTunes, and more.